2015 Polaris Rangers have landed!!! Well the long awaited 2015 Polaris Rangers have landed and most of them are in our showroom. Starting with the Ranger ETX, this is the Ranger that has replaced the 400, it’s had a face lift and looks very smart priced at $13,389.00 + gst. The Polaris Ranger 570 is now fitted with power steering as well as engine braking and active downhill decent control, it’s a great machine to drive and we think will be a great seller. Priced at just over $500.00 more than the 2014 model at $15,998.00 + gst. Next in the range is the Ranger 1000 diesel. This has had a big over haul and is now fitted with 1000cc Kohler engine, this also has power steering and engine braking with active downhill decent control. This amazing machine has a price tag of just $18,607.00 + gst. 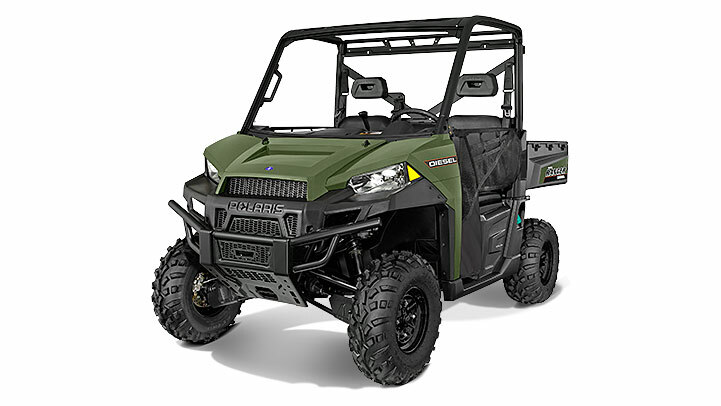 At the top of the pecking order in the Ranger line up is the Ranger 900 XP. Powered by a 900cc petrol engine, this very smooth riding Ranger has power steering and is priced at $20,346.00 + gst. The Hawkeye 325 is the next ATV which is great value at $6,680.00 + gst, followed by the Sportsman ETX that has an exciting price of $7,463.00 + gst. The Sportsman ACE is quite new to the market and is an ATV with a steering, wheel foot brake and foot accelerator. It also has a roll over protection cage, adjustable seat and steering wheel. Powered by a 325cc engine, it feels really safe to drive and at $8,941.00 + gst a real bargain. Entering the market at the same time as the Sportsman ACE, we have the UTE 570. Where to start on this. Fitted with power steering, engine braking and active downhill decent, a tip tray, horn as well as indicators and wing mirrors this has it all. And to top it off you get it all for just $8,941.00 + gst. And now for the weekend warriors, here is the very impressive RZR XP 1000. What a machine this is. For fun or for the serious off road enthusiast that want to play or compete in this very competitive sport. You can enter this arena at the very low price of $26,433.00 + gst. There is also a mix of six wheel drive configurations of Ranger and ATVs, as well as four and six seater Rangers, petrol or diesel. Whatever your needs, I am sure that Polaris will have the right machine for the job. We have a range of Polaris demo machines for you to try, call in any time and check what Polaris have on offer.